Thief peeped into the security camera — and then stole it! COROZAL TOWN, Mon. Oct. 26, 2015–A thief was arrested and charged with theft after he was captured, without a mask, on a security camera trying to steal an air conditioning unit from a house in a yard in Corozal Town on Thursday morning. The thief looked into the camera, which recorded his face, after which he took down and stole the camera. The tapes were viewed, however, and the thief, who is well-known to police, was identified. He was reeled in and taken to the Corozal Police Station, where he was charged with theft. Samuel Carter, 25, also known as “Shilling,” of Corozal Town, was taken to the Corozal Magistrate’s Court on Friday, where he pleaded guilty to the offense. He was ordered to pay a fine of $600 by January 11, or in default of payment, he will spend 3 months in jail. He was then released from custody. 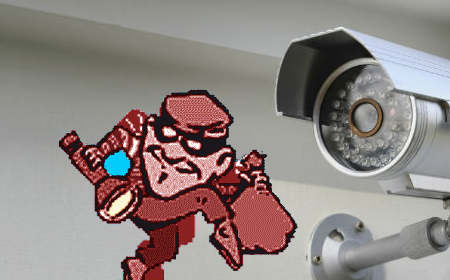 The security cameras on the house filmed the thief as he entered the yard and began to look around. He then went to the AC unit, which he tried to steal, and that was when he saw the security camera. The thief then got on a stool, looked at the camera, and then stole it.